COMFORTABLE & LIGHTEWEIGHT - Soft rubber material,Ultra Light Only 0.28ozPerfectly suit the skin with large, medium and small size earplugs which are optional for consumers with different ears.Non-slip,non-drop, no pain all-day wear, very suitable for Driving and Office. DUAL NOISE-CANCELING MIC:This Bluetooth headset uses CVC 6 noise-canceling technology to reduce noises and enhances sound clarity for phone calls and music. VOICE PROMPT FUNCTION - It could activate SIRI( Support Siri, S voice bixby..) and reminder user Battery Low, Power on/off ,Pairing, Connected/Disconnected , Incoming call numbervia voice. Can Saying Yes/No to answer or reject calls. FULLY COMPATIBALE - Compatible with iPhone iPad.. Samsung ...LG, Huawei, Motorola Sony and iOS/Android Mobile Phones. 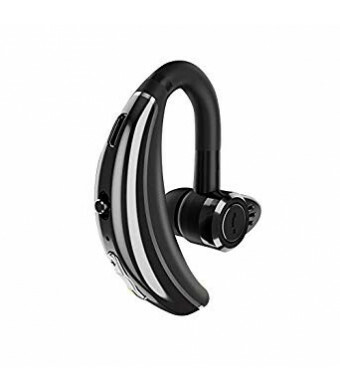 Almost all smartphones can work with this earphone. After Sales Service - Bluetooth headset support refund within one month, Free changes within three month, Maintain Service up to one year. Note: Any problem/question, please kindly contact us firstly. Our Customer Support Team will get back to you within 24 hours. 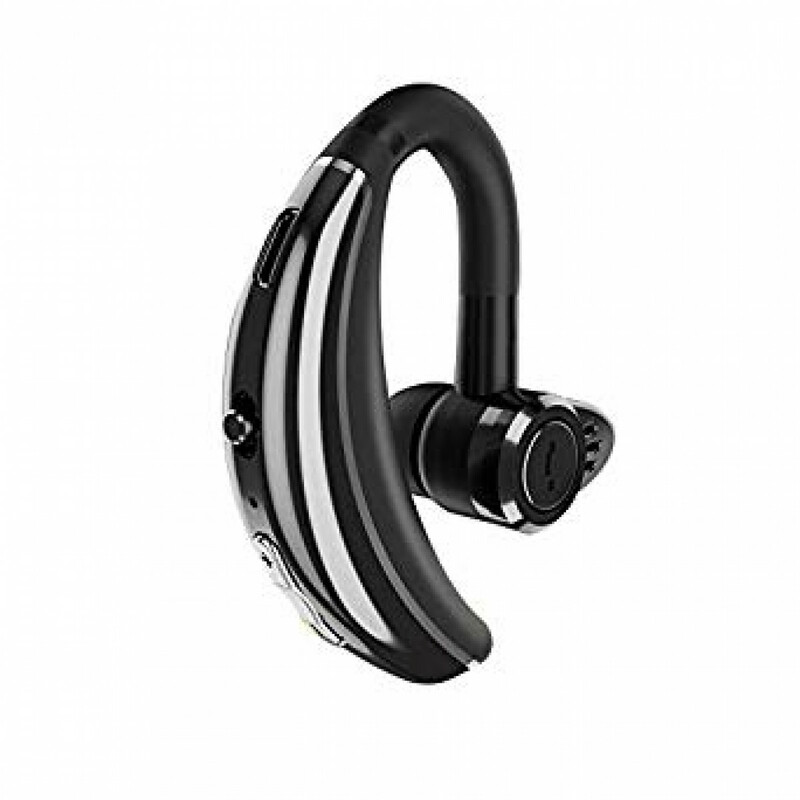 If the pairing is not completed within three minutes, the Bluetooth headset will be turned off automatically. If you want to continue pairing, please restart. Only after the incoming calls broadcast ends, can controlled call to answer or hang up via saying Yes/No.